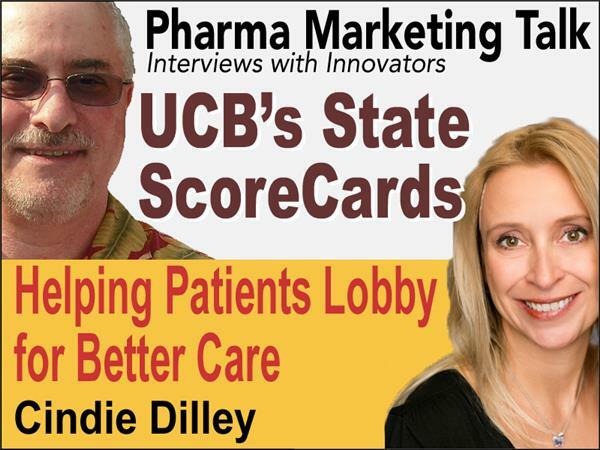 Cindie Dilley, Head of New Patient Value Focus at UCB, talks about UCB's State ScoreCards program, which won the 2016 eyeforpharma #efpphilly award for Most Valuable Patient Initiative. What are ‘The Report Cards’ (aka ScoreCards)? It is an interesting initiative to lobby decision makers for better access to innovative treatments for Epilepsy. The Record Cards ups the pressure on under-performing state health networks, by increasing transparency on state performance. eyeforpharma judges were impressed by the way UCB managed to execute on a strategy to empower others to advocate for better care. It is a well-known truth that pharma is often perceived unwelcome in negotiations for access to innovative medicines. It is a reality of the industry business model that pharma has to battle to overcome access decision makers distrust of increased expenditure on new products. UCB opened up the data on specialty care and newer anti-epileptic therapies and collaborated to issue independently peer-reviewed literature documenting the health benefits of a comprehensive up-to-date approach to manage this condition. They then worked with local advocacy groups to share this knowledge along with transparent evaluations tracking the individual state performance on health outcomes. Armed with this information, patients were given the tools to challenge under-performing institutions and demand patient-centric change.